Finding the right products to suit my ever changing skin type can prove difficult at the best of times. One minute it's an oily mess and the next it's crying out for moisture. At the moment, and now the colder weather is slowly creeping in (BRB getting my Autumn on) my skin seems to have a lot more dry patches popping up. Setting sprays are something that I've only recently introduced to my makeup routine. Whilst I won't admit I use them all time, I have started to use them more and more in recent months and I have noticed a difference in how my makeup stays on. 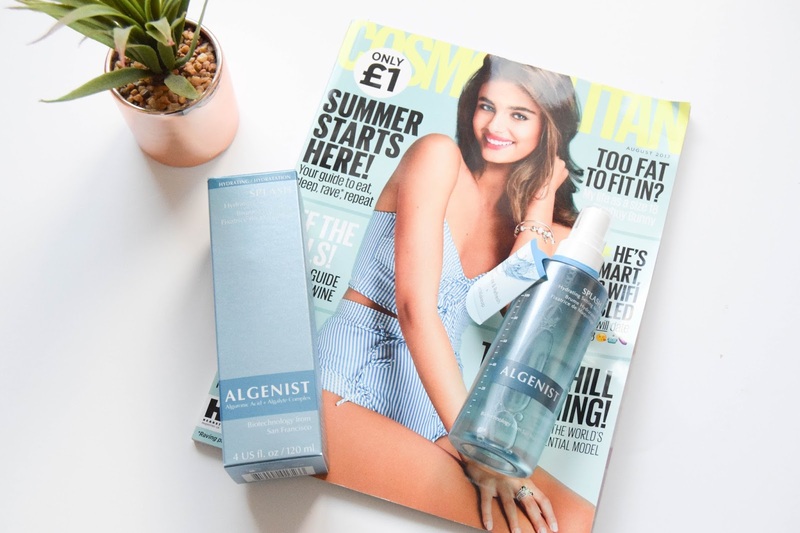 Not long ago, I was offered to try the Algenist Splash Hydrating Setting Mist* and I jumped at the chance. 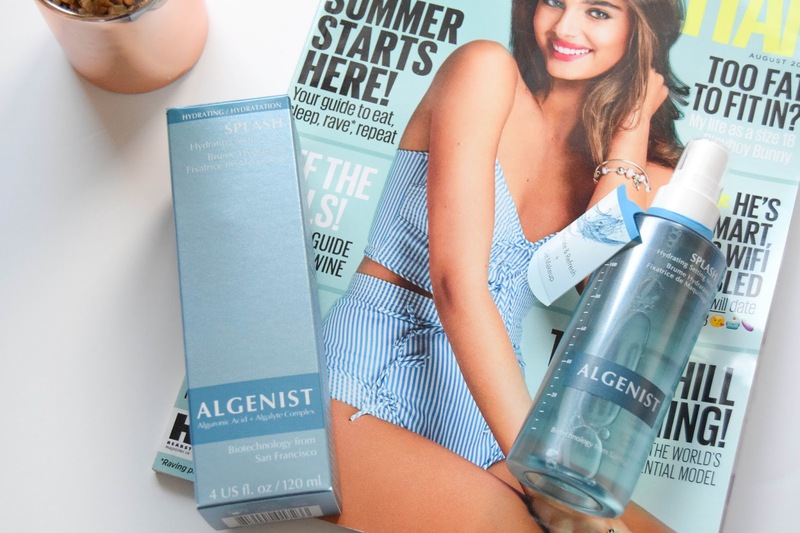 Algenist are a luxury skincare brand based in San Francisco and are available in the UK from Space NK and Feelunique. Not only is the new Splash Mist a setting spray, it's also a hydrating serum! I've never heard of anything of it's kind before and I think it's such a unique 2-in-1 product. Firstly, this smells amazing. Literally the best and most refreshing face mist I have ever smelt! 10/10. The bottle is a simple, sophisticated clear blue bottle with markers on the side to tell you how much you have left in 20ml markers. It is 120ml and it's not too big so it's easy to take away with you. It also looks pretty on your skincare shelf. Considering this has serum in the formula, I expected it to be really heavy on the face, however it is the total opposite. The consistency is SO lightweight and comes out as a gentle, fine mist. It's also not too wet or overwhelming on the face. The fact that it doesn't spray out too much means it lasts for-EVER! I've had mine just over a month and it literally looks untouched. Although this product is suitable for all skin types, I'd say it would particularly suit drier skin types and is perfect for giving you that glowing, dewy look! It's also alcohol free for those with more sensitive skin. So.. how much is it? 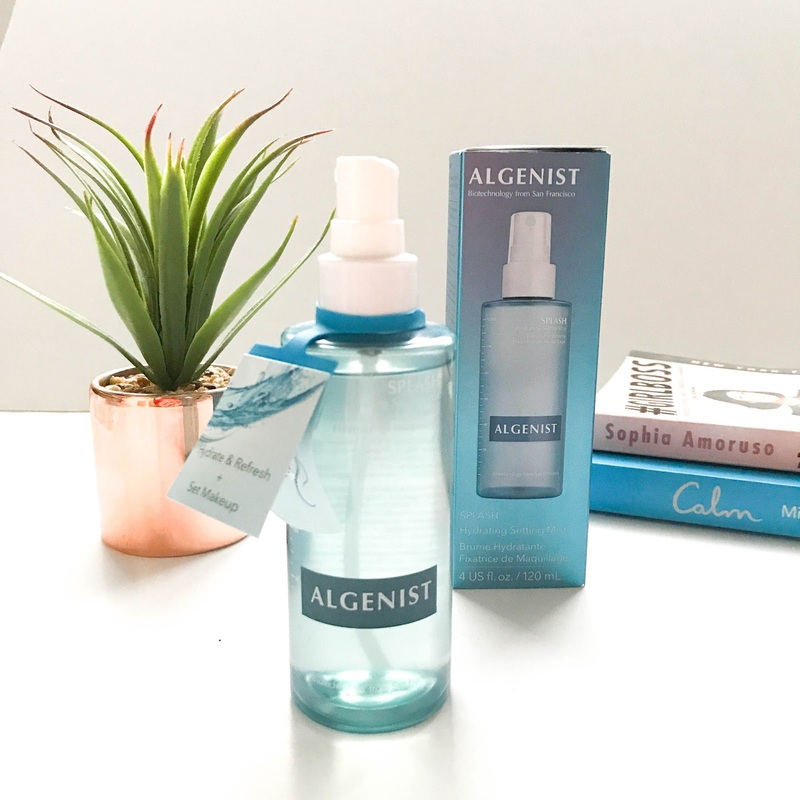 The retail price for this mist is £28 which may sound steep to some of you, but for all of the benefits of the product and how long this would last you is totally worth your pennies! Your skin sounds exactly like mine, especially with all the dry skin struggles at the minute! This sounds like heaven in a bottle, and those little markers would be a god send so I'd at least know when to look at repurchasing before I ran out. I currently invest in the UD setting spray, so investing in this wouldn't be too different. Will definitely be giving this a go!